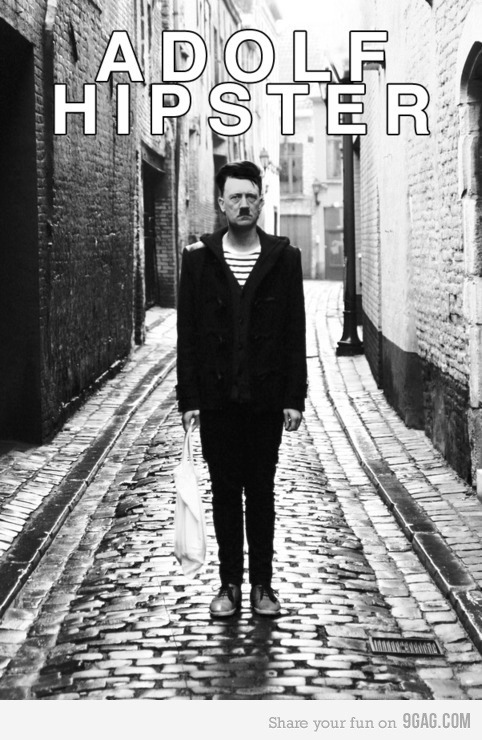 Adolf Hipster. This is hilarious! How to take better travel photographs. Yes, don’t go overboard with landscape shots. And also don’t take photos as if you were working for Google Streetview, i.e of every single building you see. Try to capture what captures your eye. Exotic destinations you can afford. Yeah, baby! Message-in-a-cookie cutters. Cuuuuuute! I love the coloring too. I might actually give this a try. It’s too adorable not to. Google before you tweet… I’d hang this up on my wall. Why do I love typography so much? We had Christmas crackers at our Christmas party this year. It was so much fun! We laughed so hard at those cheesy jokes. This is a great do-it-yourself idea. Isn’t the paper lovely? Pim and Jam? No, not a typo! Just ridiculously funny (and creepy) photoshopping. As the warning on the website says, you cannot unsee this photo. Also Obama and Bush. MY CLOTHES: You look way better in my shirts than I do. IT JUST SNOWED: Walk in my footprints. JUST SAY THE WORD. And I can be back from the ladies’ room to slip my underwear in your pocket before the waiter brings the wine. DRESS CODE. There is no compelling reason for either of us to wear pants when we’re alone in the house, unless one of us is making bacon. Just wanted to stop by and say thank you for dropping by my blog earlier today. It was so nice meeting you! Faaaaaaaabulous blog you have here! Love the design. So clean, classy, and easy to read. And your blog title and tagline is flawless! Thank you for sharing these links, I will check them out! Love the poster. You always find the coolest things. By the way, I got my print, framed it and put it up in my kitchen. It is so cute!